Look at how they dress at these awards ceremonies -- it's like something out of a Three Stooges send up on the rich and pompous (unfortunately without the obligatory pie fight, and a pie fight would actually make something as dreary and self-regarding as the Golden Globes quite entertaining). 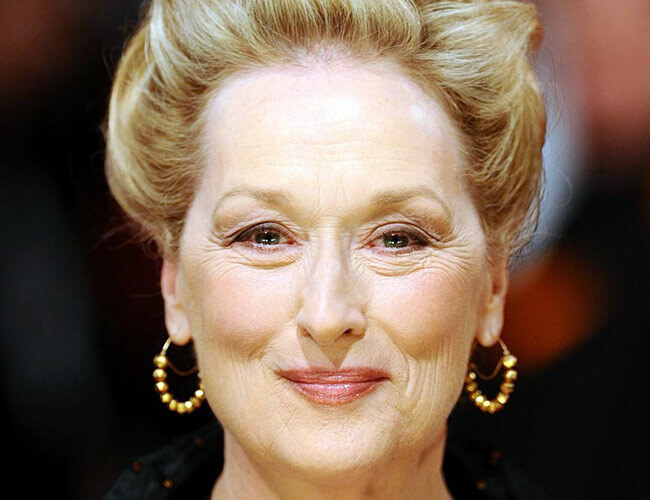 So there's Meryl Streep telling us that Hollywood does what it does for the betterment of mankind, because it is "art" -- and let's forget that every enterprise coming out of Hollywood starts with a business plan, and capital, and that if it isn't profitable that's a mark against next time, no matter how "artistic" it claims to be. Hollywood is a money machine and like every other money machine in America it employs a huge number of lobbyists who hype for its self-interest. In fact, Hollywood is the ultimate lobby machine because it can tap into so many self-interested celebrities who are immediately recognizable to a larger public. Look at how these people dress! Shoes that cost more than the average worker earns in a month and a gown that costs a year's wage. And that's before we get to the jewelry, the hair-dresser, the face-painter, the nails (fingers and toes), and whatever else goes into fussing them up for presentation. So there she stands -- a Marie Antoinette -- lecturing us for not behaving as we were told, lording over us in her finery, reminding us of the gulf between who she is and the characters she plays. Out-of-touch, blinkered, defiant, and invincibly ignorant. No wonder they lost the rust belt!